I don’t spend much time in NYC but when I do make a trip, my biggest challenges are 1) which street food cart to stop at and 2) which Broadway show will I see? 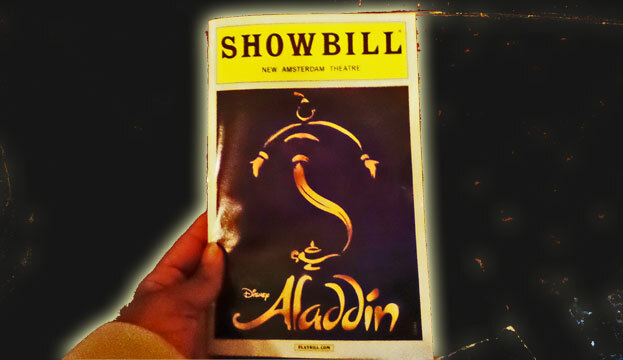 As a huge Disney fanatic, especially the childhood classics, it was a no-brainer when I realized Aladdin had hit the Broadway stage. Aladdin is housed at the newly renovated Amsterdam Theatre, originally built in 1903. 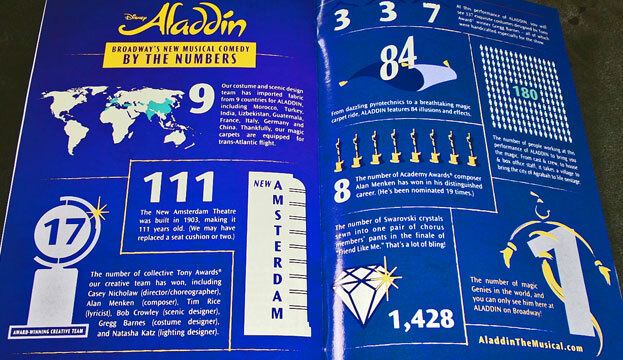 Walt Disney Co. purchased the theatre for reopening in 1997 for Disney theatrical productions such as The Lion King (from 1997-2006), Mary Poppins and now Aladdin. 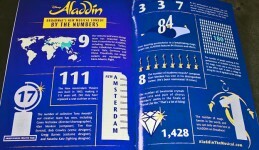 It’s well-known that one of the main reasons for the success of Aladdin (and many of Disney’s classic movies) is Alan Menken’s award-winning score. 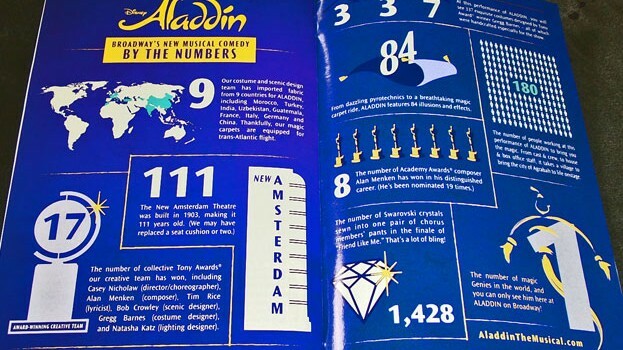 So I expected nothing less than an amazing production with performances of the hit songs Arabian Nights, A Whole New World and of course, Genie’s big debut, Friend Like Me. 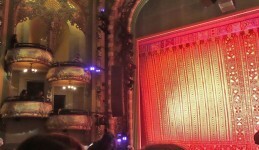 From beginning to end, the jam-packed audience of the new Amsterdam Theatre vibrated with enjoyment. 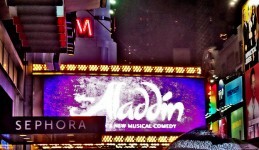 The singing, the dancing, the acting, the humor, the costumes, everything was amazing! 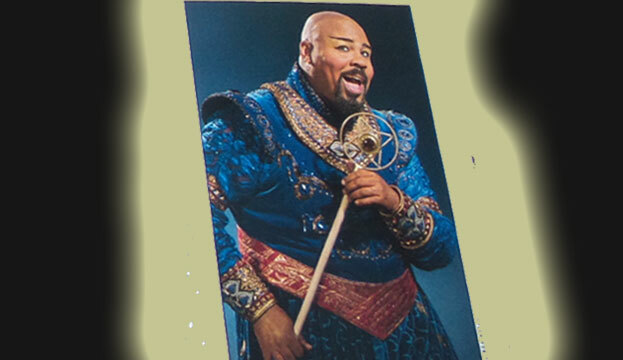 One of the most memorable moments of the night was when Genie, a hysterical, soulful, James Monroe Iglehart, performed Friend Like Me. 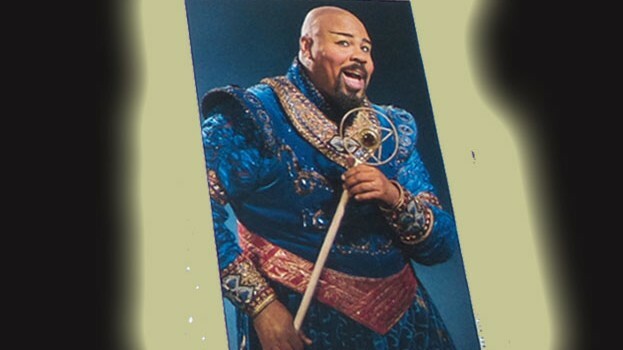 I mean, this guy stole the show! The audience literally gave him a standing ovation… in the middle of the show… I’d never seen that before but honestly, it was that good! 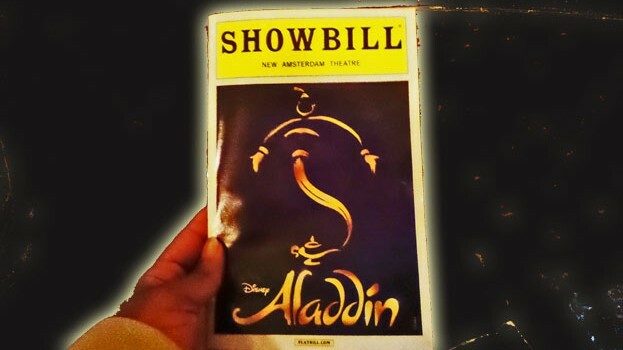 Aladdin’s best friends were an entertaining trio, Jafar was as scary as ever, Aladdin and Jasmine were… just OK but overall, the show was great! 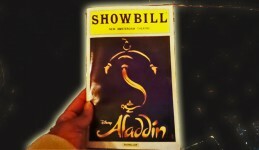 Dare I say, Aladdin has joined my top three list of favorite Broadway shows of all time.